Bulgaria marks Friday the eleventh year since the tragic stampede at the "Indigo" disco club in Sofia that killed seven teenagers. Six girls and a boy aged between 11 and 15 died late on December 21, 2001, in a stampede on an icy stairway as 600 youngsters tried to get into a Christmas party at the Indigo Club. Several other children were injured. Each year the monument on the spot of the former disco is the place for remembrance of the tragic incident that shocked Bulgaria in 2001. 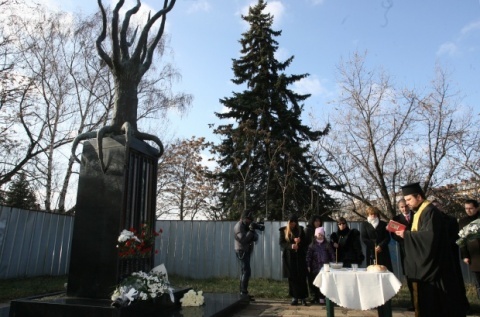 December 23, 2001 was declared a Day of National Mourning in memory of the young victims, but it was not until July 2006, when the Sofia City Court launched the trial in the incident. The final verdicts in the Indigo case were issued in 2008. The owner of the disco club, which turned out to be illegal, Angel Nikolov, was found guilty of causing the death of more than two children by negligence. He has been sentenced to pay a fine of BGN 1 000. Nikolov was found guilty of failing to secure safe entry into the disco club, which was found to be the cause of the tragic incident on the eve of Christmas ten years ago. The former head of the Youth and Sports Committee Tsvyatko Barchovski has been sentenced to three months of probation and a fine of BGN 1 500 for renting out the adjacent stadium and the club unlawfully. Each of two of the Indigo bouncers at the time of the tragedy - Georgi Vasiliev, and Anri Silagi - have been sentenced to a fine of BGN 800 for failing to ensure order and safe entry in the club. The two bouncers and the owner Angel Nikolov have also been sentenced to pay to the parents of the dead teenagers compensations amounting to a total of BGN 50 000.